Have you heard about the relatively new Kindle Scout program? If not, I’ll tell you about it in a minute. If so, I’ll tell you why I chose to try it. But first, here’s how I came to my decision to try to qualify for this Amazon publishing venture and here is the link where you can nominate my book, Ant Farm. The Seamus McCree series is published by Barking Rain Press (BRP), a small publisher. The books have generated positive reader reviews. The few professional reviews they have received have also been positive. But BRP does not have the resources for any kind of major publicity campaign. While I have done what I can to promote the books, one aspect I have not had any control over (nor would I in a traditional publishing contract) is the ability to aggressively price books to generate a larger reader base. I have confidence that if I can get people to read a book in the series, they will want to read more about Seamus and friends and the scrapes they get into. If I were persistent and produced a book a year, by the time I had five or seven books in the series, I would have built a bigger following and the series might have traction. Was there a better way? My electronic equivalent of the bottom drawer contained the first novel I wrote with Seamus McCree. I referred to it as my practice novel because, through its dozen drafts I learned how to write a mystery. It was good enough to garner an agent offer, but not strong enough to be published, and so six years ago, I put it aside. Last fall I reread it. Ant Farm had good bones, but needed major work to bring it up to my current standards. With effort, I could make it an excellent read. If I self-published that reworked story, I could use it as a marketing device to help bring readers into the series. It could be a loss leader for the series. 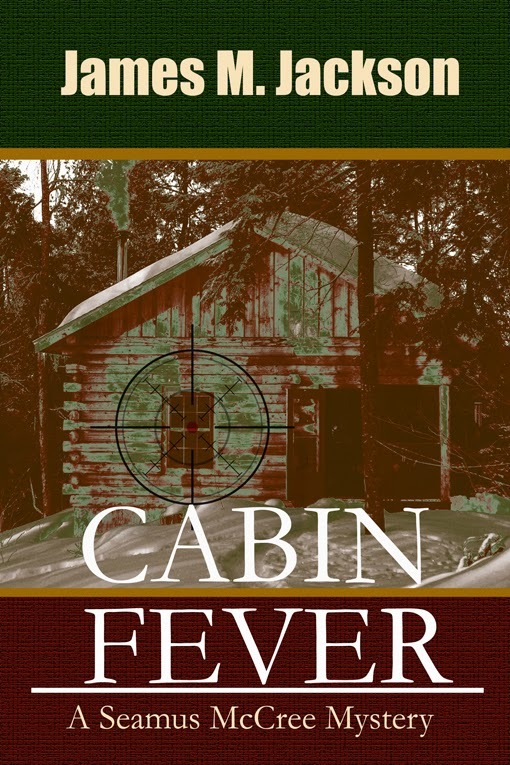 I could hook readers with Ant Farm and continue to provide good stories with Bad Policy, Cabin Fever, and Doubtful Relations (the manuscript I put aside to rework Ant Farm). Done correctly, I could build the Seamus McCree “franchise” more quickly. After hemming and hawing at this change in plans from finishing Doubtful Relations first, I decided to tackle Ant Farm. I rewrote, re-edited, sent to beta readers, re-edited, proofread, and now it’s ready to go. While I was revising, Amazon announced the Kindle Scout program. Briefly, it is a way for Amazon to get great content for their Kindle ebooks and Audible audio books based on reader nominations. An author submits a complete book in one of three genres, Mystery/Suspense/Thriller, Romance or Science Fiction/Fantasy. Submitting to the Kindle Scout program cost me no money and only a bit of time to jump through their hoops. Unlike traditional publishing where the publisher produces the book cover, for Scout I had to submit one. Since I had planned to self-publish anyway, I already had a cover prepared. However, I had to develop a logline with a maximum of 45 characters, a short blurb (max 500 characters), cram my author bio into another 500-character limit, and choose three questions to answer, each in 300 characters. I can use the logline for promotion, and the other stuff didn’t take too much time, and I had no extra cost, so the process was not much of a burden. Recall that one of my reasons for independently publishing Ant Farm was to maintain pricing control so I could generate free and reduced price opportunities to introduce people to the Seamus McCree series. Amazon, as the publisher, controls all pricing decisions. They will decide if the book is $2.99 or $5.99 or whatever. They’ll decide whether to provide free days. 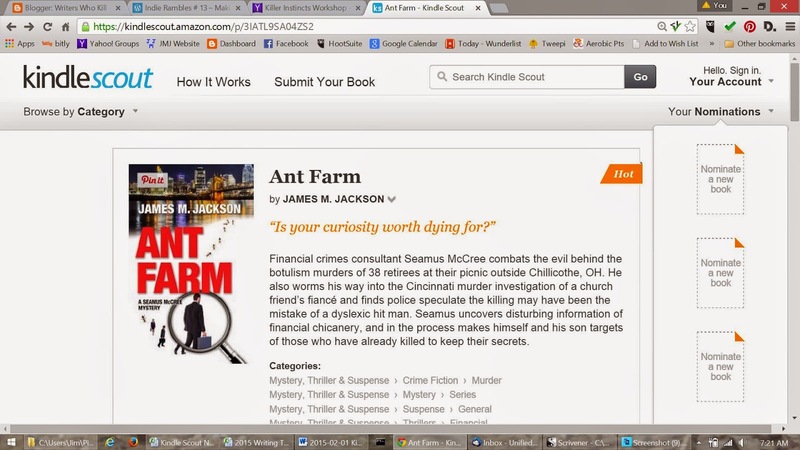 If selected, Amazon determines when the ebook version of Ant Farm will be published. Had I not gone this route, I could have had the ebook available currently. That possibly cost a bit of revenue, but not much. If accepted, my ebook will be available only in the Kindle format sold by Amazon or loaned through their Prime and Kindle Unlimited programs. No Barnes and Noble, no Kobo, no Scribd or Oyster. Amazon generates about 75% of my ebook sales. That means hooking my wagon to their horse gives up 25% of that potential revenue if all things are equal. But will they be equal? I don’t think so, which brings us to the advantages as I see them. 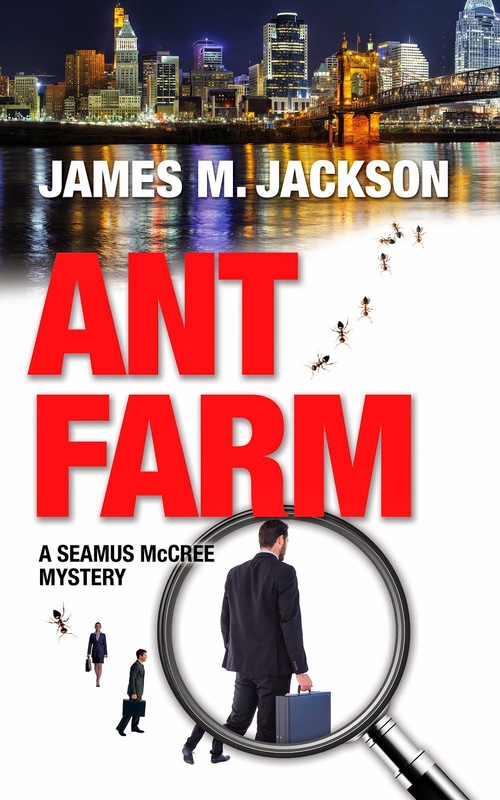 The primary reason I wanted to independently publish Ant Farm was to generate more readers for the Seamus McCree series. I believe (no facts on which to judge as the program is too new) that Amazon will want the early books to succeed. As of this writing, the Kindle Scout program has selected eight books in November, eight in December, and so far only one in January [update: three now selected]. If they choose my book, it will be one of the first published, and I believe they will make sure those books will do well. They will promote the heck out of them, and they can do that much better than I, because they have the platform for it. The Kindle Scout program pays a $1,500 advance for books they publish. That advance would cover the editing and book cover costs I’ve incurred. Whatever royalties I earn would be profit. Participating in the Kindle Scout program provides 30 days of free publicity for Ant Farm and by extension the entire series. Even if not selected, at the end of the 30-day period those people who nominate the book receive an email from me thanking them for their interest and inviting them to keep in touch with an email address and link to my website. Plus, during the nomination process I will use social media to generate interest in Ant Farm’s participation in the program. If others retweet and share Facebook posts, it provides additional content for new people to learn of the series. The initial contract with Kindle Scout is five years. However, if the ebook does not meet defined monetary goals, an author can cancel the contract in as few as two years. My contracts with Barking Rain Press have a three-year lock in. In reading Kindle Scout’s contract, it’s clear they intend the authors to be successful and if not, let them out of the program. So, if it is a bust, I can exit after two years, self-publish on all the platforms, and move on. It comes down to giving up total control and ebook retailers to gain Amazon’s marketing power. Given my current level of sales, I think it provides a good risk/return tradeoff. Others may be in different places in their writing careers and could come to a different conclusion for them. In case I haven’t been obvious. If you haven’t nominated Ant Farm yet, I hope you will. If you have, then thank you very much. I am offering extra praise for those who help publicize Ant Farm’s quest by letting others know. It’s a good book, although I am a bit prejudiced. Will post this on my FB page tomorrow! James, has Kindle Scout given you any clue to when they'd actually publish your book? I agree with your reasoning; see my blog post of 12/12, http://boom-books.com/kindle-scout-awards-first-book-contracts-and-the-winners-are/ Since then -- news blackout! Do a Google search for Kindle Press, the alleged publisher of Scout winners, & it doesn't exist. Has Scout entered the Twilight Zone, or what? Carol -- good questions. Let me tell you what I know. With respect to Ant FArm, I still have 20 days remaining in my nomination period (ending on February 26). Based on the experience of friends who have been selected and those who have not, I expect to hear from Amazon the first week of March. I have been in personal contact with three of the authors who have been selected through the Kindle Scout program. Despite the contract saying Amazon does not propose to do editing, they are doing some editing on the first novels accepted. All three have received their $1500 advance. Two of my friends expect to see their novels published in April. The third was just recently accepted. My analysis is they want the first books published to be squeaky clean, and are taking their time. Thanks for sharing the process. I wish you the best of luck with your sales. Very exciting and congratulations. . I'll be sure to spread the word. Now that your book has been selected, how about updating us with some stats? How many hours out of the 720 possible hours was your book hot and trending? How many total page views did you have? Any other relevant information you can share with us? Fortunately for me, these stats were not available during my 30-day nomination period because I would have obsessed over them. Ant Farm was hot and trending for 559 hours (~78%) and received about 1,000 page views. I am aware of other books that were chosen with many more and many fewer hours hot and trending, so that is not the be all and end all. As more people become aware of the Kindle Scout program it will be interesting to see what happens with page views. There may be many more now then there were months ago when Ant Farm was eligible. I read your article about the democratization of publication offered by the Kindle Scout program with great interest. Very little has been written so far on the subject and you've clearly got a grasp on both sides of the issue as well as having a way with words. I am a bestselling author (Warner Books, which is now Grand Central) of 23 years who recently embarked on a KS campaign with my mystery book, ONE SWEET DEAL. What I learned during that process was disturbing. KS frames itself as crowdsourced or "reader-powered publishing." Although their editing team makes the final decision, the selection of a book for publication is supposed to be in the hands of the readers. The campaign for each book lasts 30 days. During that time, a writer must get enough votes to keep her book on a short list of Hot and Trending books. The longer you stay on that list, the better your chances. At least that's what KS says. I had little trouble staying on the Hot and Trending list. Like I said, I have a huge following--I also have 5000 Facebook friends. 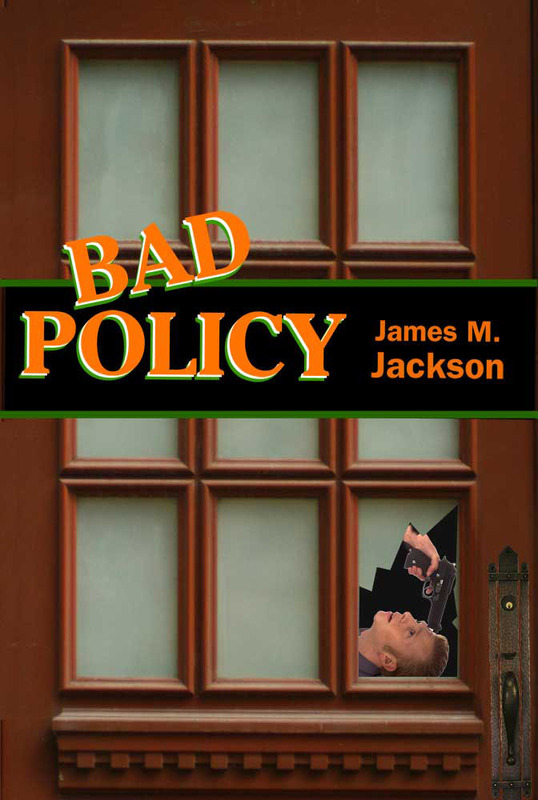 And I was confident that a funny light-hearted well-written mystery like ONE SWEET DEAL would have no trouble passing muster with the review board. Imagine my surprise when I woke up the morning after my campaign was finished and had a Inbox full of emails from readers who wanted to know what on earth had happened. In my shock and bewilderment, I got in touch with a friend of mine--an ex-reporter at Reuters who'd written a book on data collection. He knew right away what had happened--and it's not illegal, per se, but it is despicable. Kindle Scout Is using writers as unpaid data collectors. Writers slave away for thirty days drumming up votes and every time a vote is registered, Amazon gets to keep that information. It's pure genius. Machiavellian genius. Meanwhile, those poor writers are deluded into thinking KS is a legitimate operation. And readers are gulled into thinking their votes actually matter. Since you have a platform and an eloquent one at that, I sincerely hope you will investigate and write about these egregious business practices. I will offer all the help I can. Please feel free to check out my bonafides. Stacey -- thanks for your comments to this post. One of the things that would be useful to other authors who are considering the Kindle Scout program is to publish your actual results for your nomination period so others have that useful information. As I have mentioned in other posts, the "Hot and Trending" for Ant Farm was 78% and I had about 1,000 views. That was more than a half-year ago, and the number of view for successful and unsuccessful novels is much higher these days as the Kindle Scout process has more reader-followers. I can't speak to why Kindle Press did not select One Sweet Deal for publication. I have no insider information about their decision-making processes and I haven't read the book. I do, however, take a different approach to analyzing Amazon's business practices. Big data in today's marketplace is a key corporate asset. It is what leads Amazon to recommend other books readers might enjoy based on what they bought. It's what generates the myriad bestseller lists authors so enjoy to tout their books. More globally, it's why everyone tries to load my computer with their cookies, why phone apps want to know my location and even want to have access to my contacts list. Big data, as practiced by Amazon and most major corporations, is not illegal. Individuals may think it is despicable, but all the writers I know keep looking for ways to expand their mailing lists -- and you note you have 5,000 FB followers, all of whom have voluntarily given Facebook the rights to read all their posts, likes, follows, etc. Big data is the 21st century reality. I agree that writers (and readers) should enter the Kindle Scout program with their eyes completely open. That's the reason I have and continue to publish blogs on the subject. I can't agree with you that Kindle Scout is not a legitimate operation. My dealings with Kindle Press have always been completely professional. Everything they said they would do, they did--and more.